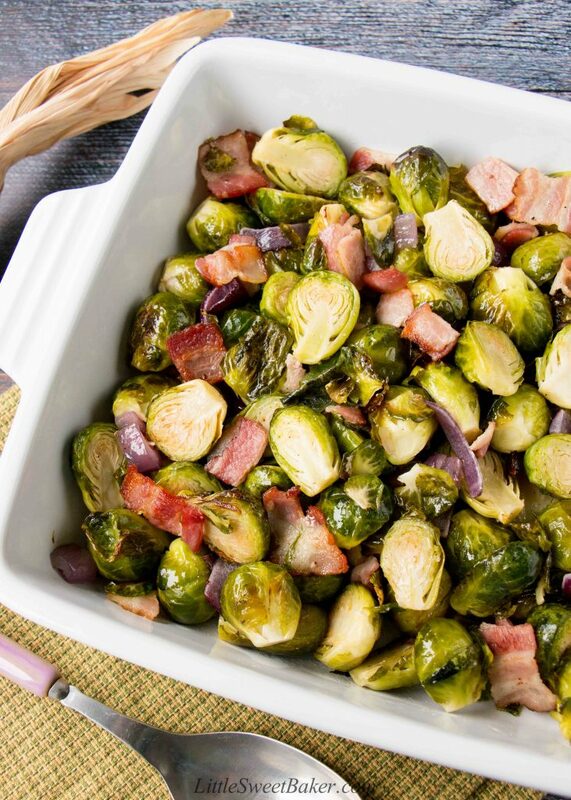 These easy one-pan roasted Brussels sprouts with bacon are a perfect side dish to any meal. 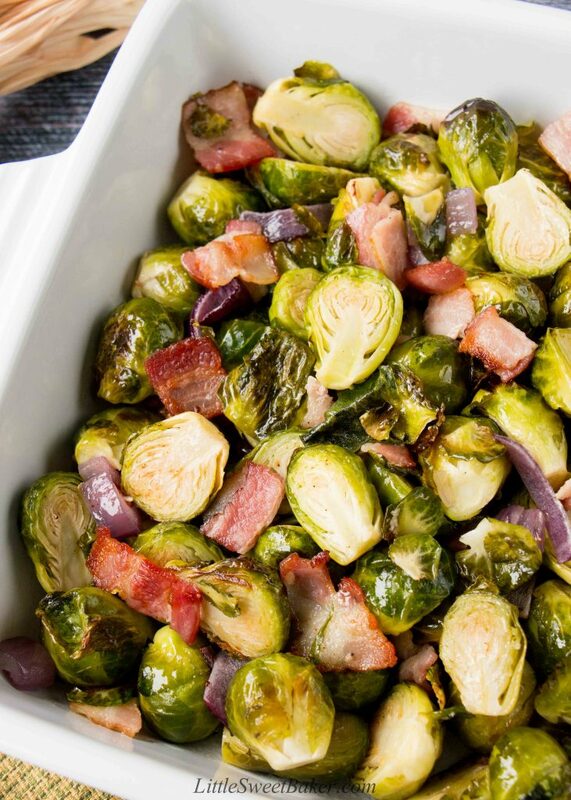 The bacon adds a smokey flavor to the crispy and sweet caramelized Brussels sprouts. 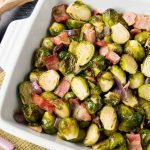 I know some people aren’t a fan of Brussels sprouts because they can be mushy or even bitter tasting depending on how they were prepared. Roasting them is definitely the best and easiest way to cook them. Roasting them not only brings out their natural sweetness, but it also caramelizes them for extra flavor, and tenderizes them without making them mushy. 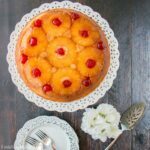 I love how simple this recipe is from A Family Feast. It’s just three ingredients, all prepared in one pan, and done in less than 30 minutes. 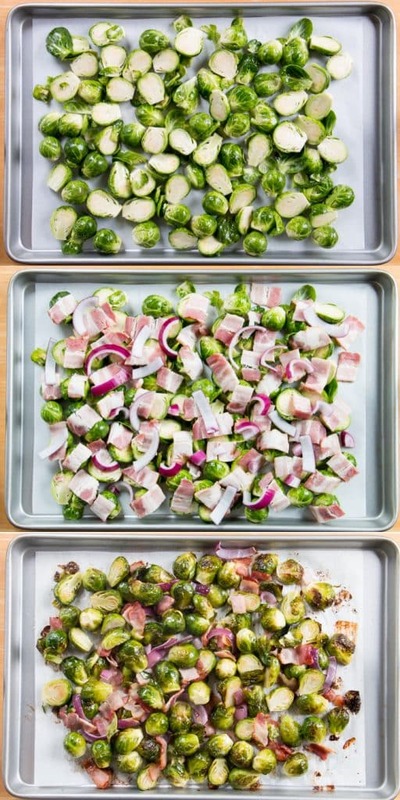 You start by tossing a pound and a half of Brussels sprouts in some olive oil, season with salt and pepper, then spread them out on a baking sheet. Place some bacon pieces on top and some red onions if you’d like. Bake for 20 minutes and you’re done! The olive oil prevents the vegetables from drying out in the oven, and also helps crisp them up while cooking. The bacon adds another layer of smokey-salty flavor to the dish. The onions which are optional, but highly recommended, add another layer of sweetness and flavor as well. 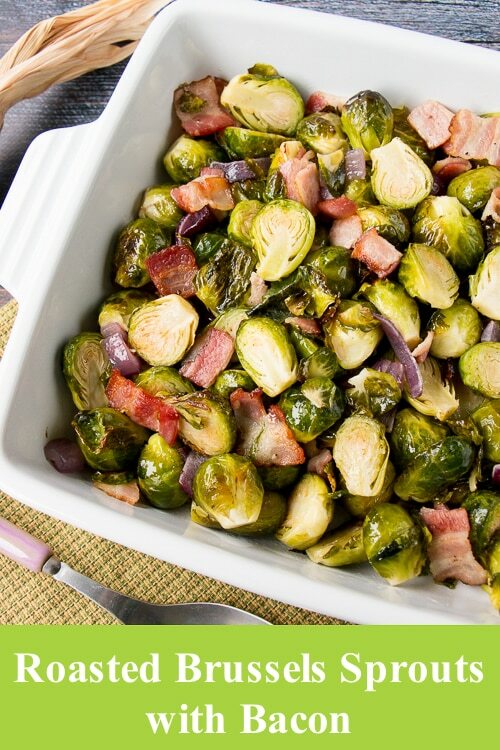 This roasted Brussels sprouts with bacon is a wonderful side dish to accompany any meal. It pairs exceptionally well with roasted and barbecue meats. Preheat oven to 400F and line a baking sheet with foil or parchment paper. Clean and trim Brussels sprouts. Cut any very large heads in half through the core. Place the Brussels sprouts and any loose leaves in a large bowl and drizzle with olive oil, tossing to evenly coat. Pour the Brussels sprouts onto the prepared baking pan (you want them to be in a single layer). Season with salt and pepper. Then evenly sprinkle the bacon pieces and onions (if using) on top of the Brussels sprouts. Roast in the oven for 20 to 30 minutes, turning halfway through the cooking time, until golden and lightly caramelized. Serve immediately. 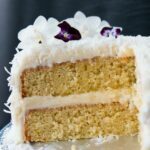 I’ll be sharing this at Fiesta Friday #244 hosted by Angie, co-hosted byJudi @ cookingwithauntjuju.com and Debanita @ Canvassed Recipes.